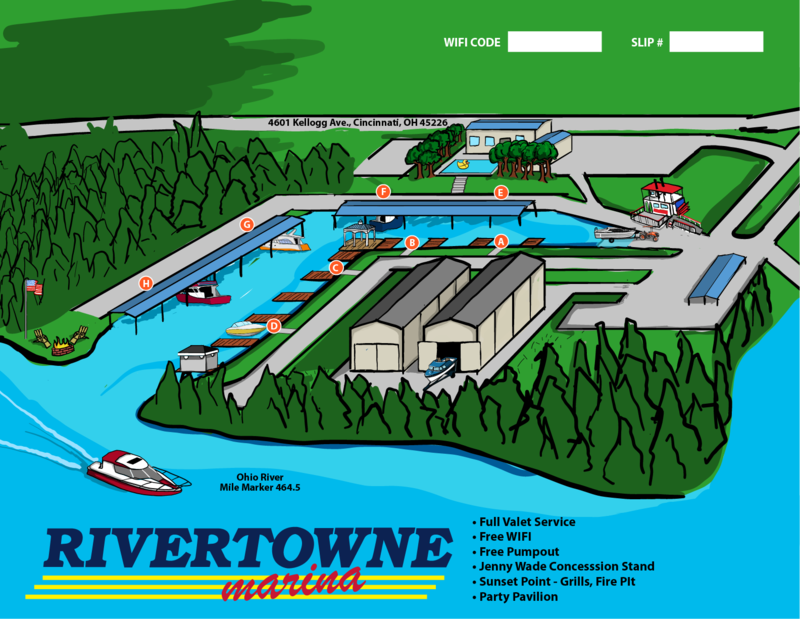 Rivertowne Marina is located at 4601 Kellogg Ave., on 43 picturesque acres along the Ohio River in Cincinnati. Rivertowne Marina and its crew offer a clean and secure inlet harbor at Ohio River Mile Marker 464.5. Located just 6-River Miles from downtown Cincinnati. Featuring 44 covered, and 60 uncovered slips in a sheltered harbor. *Both Dry Dock and Rack storage include Rivertowne's complementary valet service for prompt launching and storing of your boat.